iOS app beta testing is a critical stage in the application development lifecycle. It helps maintain your mobile app quality and improve its user experience, among many other things. Below, we take you through all the basics of beta testing your iOS app in order to help you prepare for this phase. From what beta testing is and its benefits to where to find beta testers, how to distribute your iOS beta app, and more, this is your all-in-one guide to help you get ready for iOS app beta testing. What Is iOS App Beta Testing? iOS app beta testing is a phase of the software development lifecycle where a group of external users (beta testers) test your application in real-world environments to discover errors and provide you with feedback. You can use this user feedback to fix any existing issues ahead of your app’s production release as well as to implement less urgent ideas in later iterations. Why iOS App Beta Testing? Cost: Catching bugs before release. iOS app beta testing saves you over the long run as errors in production are extremely costly. Performance: Making sure that your iOS app is up to industry standards and users’ expectations. App Store: Increasing your chances of getting approved by the App Store because beta testing shows Apple that you’re making an effort into making your app better. Learn more details about why you need an iOS beta testing tool. Reddit: You can find beta testers on multiple subreddits including r/beta, which has 350K+ beta testers, r/betatests, r/TestMyApp, r/alphaandbetausers, r/iosapps, r/iOSBetaTesters, r/TestFlight, r/iOSAppShowcase, and r/gamedev for mobile games. The biggest problem with iOS app beta testing that mobile app developers and product managers report is not getting enough useful feedback. To discover the insights you need, you need to ask your beta testers the right questions. How Long Should iOS App Beta Testing Take? Suggested beta test durations for iOS apps range between two to 12 weeks, with most beta tests taking an average of four to eight weeks. In the case of rapid release cycles with ongoing beta programs and continuous integration and continuous deployment, beta builds are released as often as nightly. Learn about the top CI/CD tools for iOS apps. To learn as much as possible from your pool of beta testers, you can segment them into multiple groups in order to conduct A/B split testing for your iOS app. This will help you discover insights from comparing the results and outputs of different user groups. You can also use A/B testing to ensure that localized versions of your app are bug-free in real-world environments of different locales. TestFlight: A great option for indie developers and small to medium teams developing for the Apple environment. And when you’re ready, here’s a step-by-step tutorial for How to Submit Your iOS App to the App Store. With an iOS Beta Testing Tool? Instabug is the top iOS beta testing tool for mobile apps. 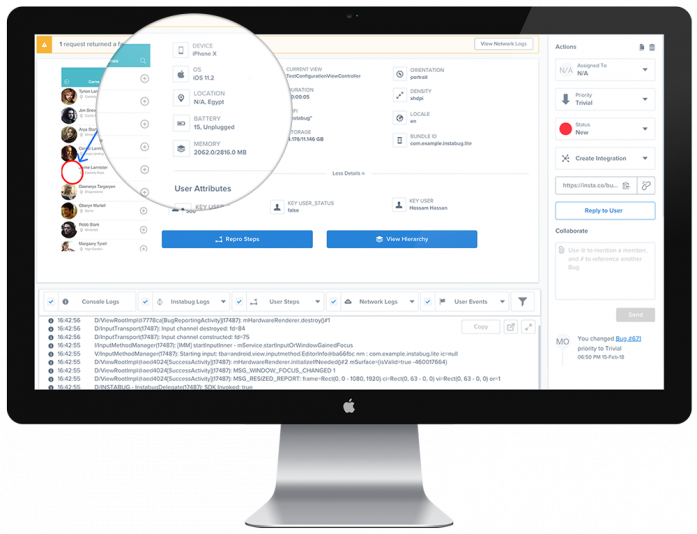 It provides the most useful metadata on the market, exceptional customer support, and an in-app communication channel to chat with your testers and users. iOS app beta testing is a crucial stage in your application’s development lifecycle. Prepare yourself ahead of time and make sure to delve deeper into each aspect of the process. Make sure you cover this checklist ahead of your beta launch. 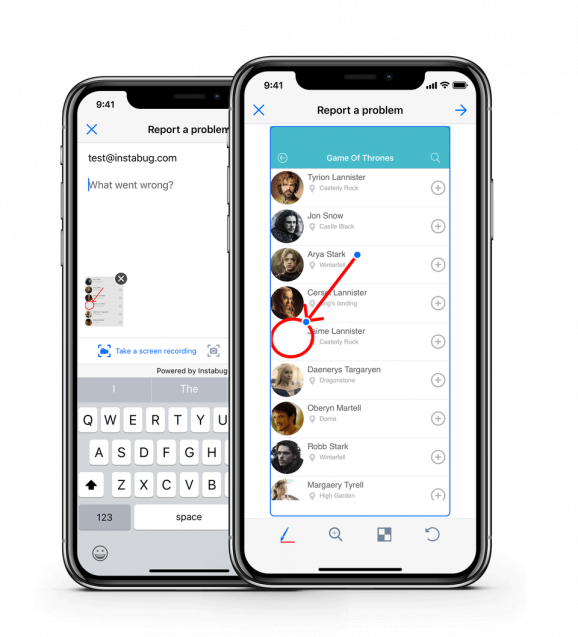 Learn how Instabug for iOS can help you catch issues quicker and prevent them from going live through bug reporting, crash reporting, and in-app feedback.